Tip: If the words "indirect object pronoun" strike horror and panic into your heart, scroll to the cartoon video in the examples explaining what indirect objects are. They're actually pretty easy to figure out. And of course, you can also have a look at our Jargon Busters at the bottom of the lesson! Je leur demande où sont les WC. I'm asking them where the toilets are. Tu lui demandes quelque chose. You're asking him (or her) something. -> Note here that in French we say téléphoner à quelqu'un (to telephone *to* someone), therefore using lui or leur as object pronouns. Pour calmer mes enfants, je leur lis une histoire. To soothe my children, I read them a story. To soothe my children, I read a story to them. -> Note that you say lire quelque chose à quelqu'un (to read something *to* someone), therefore using lui or leur as object pronouns. leur means them, irrespective of the the group's gender. Je parle à Paul. -> Je lui parle. I'm speaking to Paul. -> I'm speaking to him. Je demande à mes amis où sont les WC. -> Je leur demande où sont les WC. I'm asking my friends where the toilets are. -> I'm asking them where the toilets are. Il va téléphoner à ses parents. -> Il va leur téléphoner. He's going to telephone his parents. -> He's going to telephone them. In each case, the verb in the original sentence is followed by à, which disappears when the specified person is replaced by lui or leur, which also skips in front of the verb. Contrast this with the following example where the verb is not followed by à = appeler <quelqu'un>. Il va appeler ses parents. -> Il va les appeler. He's going to call his parents. -> He's going to call them. We see here that instead of leur, les is used to say them. Lui and leur are only used with verbs usuallly followed by à. Other pronouns are used for the other cases. Grammar note: Remember verbs always have a subject (je/tu etc.) but only some have objects. Use object pronouns to replace nouns that are the object of the verb. 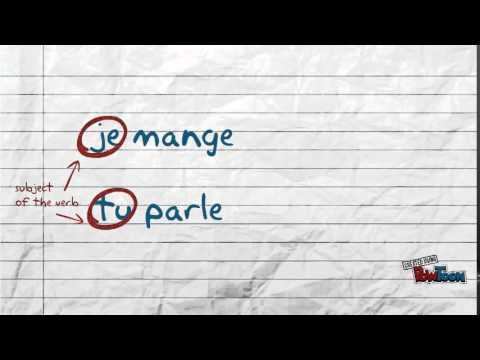 Objects can be direct or indirect - they are indirect if separated from the verb by à. What's the difference between "a tort" and est "tort"? There are lots of expressions using the word ‘tort’ and without more context I can’t be more specific. Martine roulait une grosse boule pour lui faire une tête. Martine was rolling a big ball to make it a head. I used les because it seemed like a direct object to me. So I could find helpful more clarity on why this is not a direct object in the sentence. Thank you. Hi Robin, what was the sentence? Thank you but never mind my question please. I just re-read a lesson and since the verb required a preposition, that made the object indirect. I should just read more before asking a question! No worries! Yes, if the verb the requires a preposition when used with an ordinary noun then the object is indirect (I think of the preposition as getting in the way of the object and the verb, so it's not in 'direct' contact). It's also worth bearing in mind that we can't rely on English to tell us if it's indirect or direct. Many verbs that take direct objects in English take indirect objects in French and vice versa, so you need to think about the form in French used with a noun and then work from there. But lui is male ?? Should it not be her? ?